I try to avoid polemics, or being divisive. The topic below is one where, I suspect, opinion is already sharply divided and each side views the other with suspicion and some incredulity. 1) It really gets my goat when a teacher reserves an efficient strategy or rule-of-thumb for themselves, yet insists that pupils may only have access to a complex and more confusing version (i.e. The revered “correct” version). What happens in practice is that bright sparks quickly see the underlying pattern, check it for reliability, and then adopt the rule of thumb unimpeded by the teacher’s beliefs. The rest remain confused, experience low success rates in their work and thus low confidence and motivation. 2) If someone uses or shares a heuristic or strategy that isn’t technically accurate, but is efficient and reliable, it is bizarre to assume that they must be an ignorant teacher. Maybe they are. But maybe they’ve made a strategic calculation about how best to teach their pupils. I get the impression most pupils have been told it too, especially in primary. Low accuracy in this topic is one of the most common hallmarks of pupils who struggle in maths generally. If a teacher teaches the strategy of “move the decimal point,” it is unlikely to be due to ignorance on their part. The cry “the point doesn’t move!” felt like a tired phrase before I’d even finished my PGCE year. It’s the “not all men” of the maths teaching world. 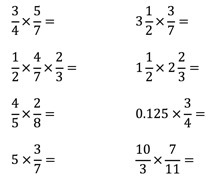 When multiplying or dividing by a power of 10, the crucial change is the relative position of the digits and the place value columns. Moving the digits, or moving the columns (i.e. the decimal point) will both get you there. Any decent maths teacher is interested in how pupils think and in building deep understanding. But is simplistic and arguably harmful to insist that learning only takes the form of “deepening understanding.” We learn to speak with (relative) grammatical accuracy long before we learn what it means to conjugate. I suspect most British people can’t parse their speech and writing. I also suspect that, if we’d forced them to learn to parce as the sole method of learning to speak and write, they would be terrible at it, and most would hate it. We enjoy things we feel we are good at, and getting better at. Deep thought can only take place in the context of a rich landscape of examples, exceptions and intellectual self-confidence. Teaching a rule and building fluency creates the context for the surprisingly deep and difficult thought that underpins place value. The answer is simple: I tell them how to do it, they practise, and eventually, they get better at it. It isn’t any more complicated than that. The Michaela ‘just tell them!’ philosophy enables our pupils to reach a high standard in Art. Whilst in the past I have seen pupils lacking in natural artistic flair fall behind and flounder in Art lessons, giving the subject up as soon as they can, Michaela pupils are able to master the fundamentals of drawing and painting, and learn to appreciate art and its cultural significance. It’s not without difficulty, of course- and indeed, many pupils do struggle in art just as they can struggle in any subject, but a key distinction between the Michaela approach and that of many art departments I know is that we believe that drill and practice are the foundations of creativity, and more importantly, we believe that every child can do it if they are taught explicitly. Rather than promoting creativity for creativity’s sake, or allowing kids to splash about with paint with little real focus, we spend time explicitly teaching and securing the basics. Here is what we have identified as the building blocks of Art. These are the fundamental basics that underpin and strengthen creativity. Media: We teach pupils explicitly in the use of pencil, charcoal, chalk, pen, paint, oil pastel and printing. We show them exactly how to hold the media, when and how to apply pressure, and how to achieve various effects. Shape: Pupils learn exactly how to draw different shapes. I model this on the visualiserand pupils copy before recreating their own shapes. Shading: At the very beginning of year 7, pupils learn how to shade using pencil. They are drilled in the ‘tonal ladder’, regularly practising shading to varying degrees. Colour: Pupils need to understand how colours relate to each other and how they are created from the primary colours up. We spend time securing this knowledge at the start of year 7. Revisiting: Pupils constantly re-visit each media, every half term, every year, so skills and techniques are practised over and over again. Interleaving: Media and techniques are carefully sequenced and interleaved to ensure pupils are able to use them both in a variety of contexts. Basic skills such as shading are used continually throughout the majority of units to secure them. Mindset: I don’t want any pupil to ever tell me that they are not good at Art, or that they aren’t a particularly artistic person. Whilst it is the case that some are more naturally attuned to the artistic world than others, all pupils can learn how to draw and paint if they are taught. We do not believe that asking pupils who struggle to ‘have a go’ or ‘experiment and be free’ is a good strategy. Instead, we plan for purposeful, motivating art lessons that build incrementally on each other until pupils have internalised the fundamentals. From there, pupils are able to develop their skills and produce fantastic pieces of work. Mindset and practice: these are the cornerstones of the entire Michaela philosophy. We believe that the best route to unleashing creativity in our pupils, and enabling them to become successful artists, is to drill them in the basic components of drawing and painting. Below are some examples of our pupils’ work across years 7, 8 and 9. When I first saw my pupils making errors when multiplying and dividing by powers of 10, my first instinct was to gently cajole them: ‘look this is easy, just move the decimal point this many times’. Yet implicit in my answer would be any number of things: for example, I’d remove unnecessary placeholder zeros, or fill in placeholder zeros, or make decimal points disappear. What was I doing? Over-simplifying and over-generalising, at the same time. In fact, in my head, I was doing a massive number of things – I wasn’t ‘just’ moving a decimal point. Implicit in my personal sense of ease was an expert understanding of the number system, of place value, and of number-system-notation conventions. None of that is easy or straightforward! Yet it seemed easy to me, because of ‘the curse of knowledge’. What we know is utterly transparent to our minds, such that we don’t even realise that we know it or that our reasoning is built upon it. Something similar seems to happen in learning grammar. Daisy Christodolou’s blog on grammar provides very useful parallels. If you look at the sheer amount of stuff that is necessary just for a basic understanding of a simple sentence, you will see firstly that you need to spend quite a lot of class time on this, and secondly that pupils will need to memorise a lot of the rules and processes. They will need to memorise the rules and processes in order to free up space in working memory so that when they come to write their own simple sentences, the process is as automatic as possible. They also need to memorise the rules and processes because grammar goes on to get a lot more complicated than this, and they need the basic rules well established in long-term memory so that the more advanced rules can build on these without taking up too much space in working memory. Daisy’s view, in short: the basic understanding required for foundational topics, like sentences, is huge; and so it requires lots of class time devoted to memorising certain rules, procedures and concepts. Singular and plural nouns not ending in ‘s’: show possession by adding apostrophes. To teachers, it seems trivial knowing where to put full stops or apostrophes… yet when you start to try and explain it, it suddenly starts to seem rather reliant on deep, embedded understandings. The same issue is true for teaching × 100. Let’s make it concrete: here are some rules, procedures, and concepts pupils need to know to answer expertly questions 1-5 on × 100. The convention of leaving blank the place value columns which are of greater value than the value of a number (i.e. not writing zeros on the left of numbers greater than zero). E.g. to write 36, instead of 0036. The convention of filling zeros into place value columns in order to express certain numbers greater than 10 and less than 0.1 (i.e. to write zeros on the right of numbers and on the left of numbers). E.g. to know the necessity of the zeros in 3600 and 0.00036. The equality of value between 5 and 5.0 and 5.00 etc, and the convention of writing integers without decimal points and placeholder zeros, and at the same time the usefulness of re-expressing integers with these decimal points and placeholder zeros. The convention of having invisible decimal points on the right of integers, e.g. not writing ‘5.’ but ‘5’ instead. Now, I haven’t expressed these particularly well, but that’s partly my point. These are conventions and understandings that are so deeply embedded and so intuitively known by maths-experts that they are very difficult to explain well. In fact, I think they are nearly impossible to ‘explain’, in the sense of ‘here’s a 2-minute explanation on this convention that will give you everything you need to know!’ To the novice pupil, they seem so arbitrary at best, and contradictory at worse. It takes a very sophisticated understanding to differentiate between conventions 1 and 2, which are essentially telling you to do opposite things at opposite times. Sometimes we need to put an extra 0 in front of .36; other times we have to remove the extra zero in front of 036. Why? Well… give it your best shot explaining it if you think I’m wrong. A lesson preview from TES – note, there’s nothing ‘simple’ about what’s happening. Firstly, where did those zeros come from? Secondly, where did the decimal come from? Thirdly, we never see numbers written like .8 – what’s going on?! This stands in contrast to the popular view on ‘teaching for understanding‘, which is all the rage. Don’t get me wrong: I’m all for helping pupils understand. Yet in my view, topics that are more grammatical – topics that rely heavily upon subtleties of notations and conventions – are difficult to understand in the abstract. Either your explanation will over-simplify but then it won’t convey all that’s needed for understanding; or it will convey the full breadth of a topic but totally overwhelm most of your pupils. Of course, they don’t contradict. Yet I don’t think any primary English teacher will race to teach and explain usage number 2 whilst also teaching usage number 1. Similarly I remember learning these golden rules in year 3: never ever start a sentence with ‘and’ or ‘because’. And they were good rules at the time! (Irony intended). But after you’ve gotten to an age where you’ve read thousands of stories of increasingly sophisticated language, and received enough of the appropriate guidance, the two usages will begin to fall into place, and you’ll reach a level of understanding where using full stops is as natural as breathing. So. The common issue with grammatical topics: just like the usage of full stops, they are easy to explain & understand poorly and very difficult to explain and understand comprehensively. There’s too much underlying logic that pulls in different directions. So, I’m increasingly convinced that with grammatical topics in maths, just as with language, understanding must follow grammatical fluency and familiarity. Our understanding of them requires a mass of examples, together with a mass of practice, cohering together, over a stretch of time. Now, I’m not saying that this is sufficient for understanding place value, but that it’s undoubtedly necessary for pupils who struggle with maths. Rounding – a notoriously difficult subject to make stick – why does 0.446 to the nearest hundredth round to 0.45, whereas 446 to the nearest hundred rounds to 400? Why doesn’t the former become 0.450? Why doesn’t the latter become 4? These questions are hard to explain, and a good explanation doesn’t usually help pupils get it right! Again – some of the similar conventions we saw with × 100 play havoc with rounding. Simplifying algebra – after all, the rules of simplification are like the grammar of another language! 3a + 2a = 5a, yet 3a × 2a = 6a²? A tiny change in notation (+ to a ×) leads to a radically different process; there’s a deep logic, but it’s hard for pupils initially to understand. Then there’s all the conventions of invisible multiplication signs. I think simplifying algebra is a particularly good example of a grammatical topic, since in my experience, pupils are absolutely fine within lessons, within each topic; yet when it comes to tests and mixed exercises, all manner of confusion erupts. 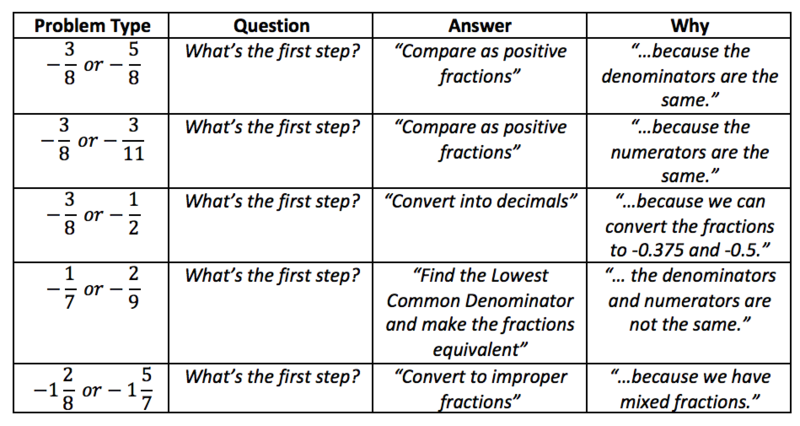 Again, there’s a very deep and rigorous logic to these processes, but I’ve found it’s far more helpful to tell confused pupils initially ‘this is how you add terms, and this is how you multiply them – just remember the two processes’. Negative numbers: I think this one goes without saying! I’ve written on it previously; I think this a prime candidate because of that fatal and poorly used heuristic: ‘if the signs are the same it’s +, if they’re different it’s -‘ – that falls into the grammatical trap of over-simplifying a topic and thence leading pupils astray. So, onto the golden question: how should we best teach mathematical grammar? 1. Before teaching a topic, reflect on how ‘grammatical’ it is. Recall my definition: can you explain the concept/method/process clearly and succinctly in such a way that covers all the eventualities and forestalls confusions with similar-looking processes? Teaching percentages of amounts: yes. The topics above? Not so much. Too many apparent-exceptions, strange conventions, surface similarities with different topics. If a topic seems grammatical, break it down into every single possible strange case, as I did with the questions right at the start. The best way is to treat each case as a different thing to teach and practice explicitly. For example, in basic simplifying algebra, I’d want to split up 4a + 5a separately from 4a + a, and recognise they’re quite separate cases. After all, in my experience, when I’ve taught both problem types together before getting pupils to practise, a proportion of the class will inevitably get it wrong because ‘oh sir I forgot about the invisible coefficient of 1’; they’re familiar with the key concept, but they just weren’t familiar enough with it. 2. Start slow, build up. I would begin with very simple and patterned sentences like ‘I walk to the shops’, ‘I eat lots of chocolate’ and get pupils to identify ALL of the parts of speech in them. I would start with the following five parts: verbs, nouns, adjectives, articles and prepositions, in that order…. If you look at the sheer amount of stuff that is necessary just for a basic understanding of a simple sentence, you will see firstly that you need to spend quite a lot of class time on this, and secondly that pupils will need to memorise a lot of the rules and processes. After they’ve got some fluency with this, mix the question types with the previously learnt process – and prepare for some confusion! E.g. Gradually interleave with previously drilled concepts. 3. Practice, practice, practice – over time. Remember, the things they’re learning still seem to pull at odds, so over time, some of it will fade, and some of it will stick. As a result, if it all isn’t rigorously revisited, one pupil will be able to do 4.6 × 1000 = 4600, but then answer 4.6 ÷ 1000 = 0046, too. A good way to revisit is to drill over time. Randomisable Excel spreadsheets are your friend here. Make it fun! Make it competitive! Time pupils and see if they can beat their class score. They will love their increasing success. Here’s a drill I made just after my low-prior-attaining year 7s had gotten the hang of some basics of × 10. We practised this every day, or every other day, for a couple of weeks. Notice the different question types and all the different cases involved in multiplying and dividing by 10 – place value is really complex! It’s so much harder! But you quickly realise that once the foundations are firm, things like standard form, × 0.1, etc. are so easy to incorporate. In a future iteration of these Mental Maths Explosions I might spend 15 minutes of class time on multiplying by negative powers of 10, just to spice things up a bit – but since everything else is in place, they’ll be absolutely fine with that. Once the launch pad is in place, prepare for lift off. I’ve received numerous tweets and comments on how the decimal point doesn’t move. My wonderful boss (another great plus of working at Michaela!) has written a great reply to that point here. Interestingly, like her, I heard numerous times and saw numerous demonstrations in my PGCE year on how the decimal point doesn’t move. In fact I even copied wholesale a teaching approach I saw during one session: I printed out digits and a decimal point, 1 each on a piece of A4 paper, made pupils stand up, and slid them up and down whilst the decimal point stood the same. From that experience – and how it offered my pupils precisely zero benefit in learning any of the issues & conventions I discussed above – I quickly learnt never to spend time on it again. In my experience, the key roadblocks to success in this topic have nothing to do with whether the decimal point or the digits move; instead, they are all related to the highly confusing conventions I mentioned above, which stand regardless of whether you move the decimal points or the digits. One might then argue that it’s best to teach ‘move the digits!’ because it’s true. My main response to that is that moving the decimal point is far easier and less cognitively overloading. That’s why numerate adults – even those who know that ‘the decimal point doesn’t move’ – nonetheless overwhelmingly move the decimal point when they are working out a divide by 1000 question. Can you imagine how difficult these pupils must find the concept of ‘keep the decimal point there, and move all the digits along!’ – so much is moving at the same time! Especially as there isn’t any working out that can help them, unlike the arrows for the decimal point. I’ve seen these pupils gain real confidence in moving the decimal point and I am loathe to give them a much harder, more cognitively demanding process that some of them will find far too difficult. For what it’s worth, our textbook also makes clear the concept that the decimal point doesn’t really move. But on a procedural level, we stick with moving the decimal point all the way, as a handy shortcut. But please do read Dani’s post for numerous extra explanations on why ‘the decimal point doesn’t actually move’ is not particularly helpful pedagogically. If you enjoy this sort of thinking into maths pedagogy, you might enjoy working at Michaela! Contact me on Twitter [at]HinTai_Ting for more details. Six months ago, I started working at Michaela. As a Wembley native, growing up just around the corner and attending a local state school, it has been an experience and a pleasure to teach pupils in the community and to see them thrive. Since starting here, I have questioned almost all my pre-existing beliefs about teaching, and have come to see that the Michaela way works extraordinarily well. In this reflection, I note down three aspects of the Michaela way that I wish I had known about before I first entered the classroom. Improve teachers’ subject knowledge: Every teacher has their own specialism, particularly in a subject like science where one might be an expert in physics but only have a basic grasp of biology. By pooling all our knowledge into our resources, we ensure that every child receives the best possible explanations and examples in every lesson. Consistency: Not only does our approach to planning support high quality teaching, but it ensures that every pupil receives the same standard of teaching in every lesson. Greater Depth. The time we spend thinking about our resources means that we are able to teach a curriculum that spans far beyond the GCSE requirements. Our pupils learn great topics such as the history of science and the biographies of significant scientists, including Herschel, Mendeleev and Dunlop, and hear about the latest discoveries (such as the recent categorisation of giraffes into one of four species). Renewable – Every moment spent on creating these resources is renewable. Rather than re-creating new stuff every lesson, we plan with reusability in mind. Each year we evaluate and improve on the content we have produced, and use it again the following year. Literacy – Literacy is deeply embedded in all science lessons. Pupils are exposed to approximately 1,000 words every science lesson. Commonly misspelt words such as temperature, neutron and flagellum are flagged up before pupils begin their writing. We explain the root of naming compounds and scientific words (such as chlor = green or aer = oxygen). Pupils are able to express the correct keywords in a sentence (e.g. weight and mass). SLANT is a behaviour tool used across the school: every teacher makes use of this strategy. SLANT stands for Sit up straight, Listen, Answer questions, Never interrupt and Track the teacher.Click here to see how often it is used in a lesson. Below are some reasons why SLANT is important in class. Calling the class together – It is a simple way of getting the pupils’ attention without the need for waving hands or raised voices. Concentration – I find pupils listen attentively because they are tracking the teacher; it serves as a visual cue to be attentive and not daydream in class. Great for posture – “strong spine, strong mind”. Slouching is bad for your back! Being encouraged to sit up straight could prevent serious posture problems later in life! Prevents fiddling – Fiddling is distracting to pupils and others around them. SLANT prevents such distractions, allowing more focus on learning. I remember in my previous school, I used to enjoy marking…the first ten books! Then it became a chore that would often take around three or four hours per class. As Joe Kirby explains here, marking is a burden on teacher workload and has minimal impact on pupils. Instead, our pupils receive tons of useful, instantly actionable feedback that enables them to continually improve. 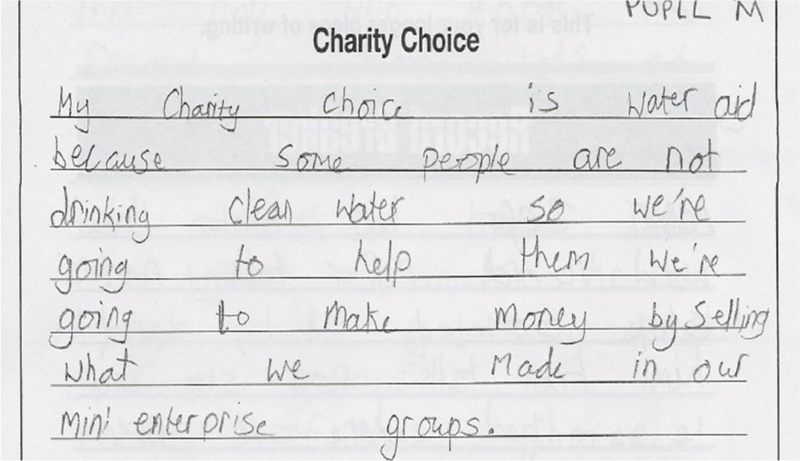 Green Penning – Pupils mark their own responses to questions using green pen. This way, pupils recognise and understand correct answers, learn from their mistakes, and –most importantly- gain ownership and responsibility over their work. Whole class feedback – Every two weeks I read through pupils’ books to spot misconceptions. I do not write long comments or “well done, you have understood xyz correct”. I do not set any targets or DIRT time. Instead, on a piece of paper, I write down any merits, demerits and any misconceptions I see. The following lesson, I spend around 5 minutes re-teaching or clarifying as necessary. The visualiser is also a great tool to display pupil work. As a class we discuss strengths and suggests improvements – such as misspelt words, use of keywords and how to improve the quality of the content. Extended Prep – Year nine pupils receive examination questions as weekly homework. Teachers check these through briefly to get a general sense of how pupils have done before giving them back. Pupils then have an opportunity to improve their written answers. Quizzes – Pupils are given a weekly quiz and receive instant feedback. In addition to this, pupils are given one practice exam every week, ensuring that their skills and knowledge are put to good use! More about quizzeshere. Exams – There are two high stakes exams in the year (and two mock exams as well). On each occasion, pupils receive whole class feedback on content and exam technique. Whilst none of this is especially radical or new, the striking simplicity of the Michaela approach enables teachers to teach and pupils to learn. The combination of these easy-to-use strategies reduces workload for teachers whilst simultaneously increasing impact on pupil progress. If you would like to visit Michaela and see us in action, email info@mcsbrent.co.uk. If you have excellent physics knowledge and would like to get paid resourcing for us, email odyer@mcsbrent.co.uk. We’ve also released the Tiger Teachers book which outlines many of the strategies that we use at Michaela. Imagine working for an organisation where there are no annual performance meetings, no bureaucracy, where you do not need permission to take time off, and where the expense policy is just five words long: ‘act in our best interest’. Imagine working for an organisation where every person you work with is someone you admire and learn loads from. Or rather, here it is. Netflix is the world’s leading video on demand streaming company and a studio library in the cloud. Since its startup in 1997, it has gained over 90 million users in over 190 countries, and its revenues in 2016 were well over $8,800,000,000. It now produces more series and films than any other network or channel, spending $6 billion on content in 2017. It has unlimited viewing, no adverts, no cancellation fees. They are a harbinger of the era of internet TV. And one part of its success is due to its remarkable staff culture. It’s been called the most important document to come out of Silicon Valley. Netflix’sslidedeck on their culture has been viewed 13 million times. What lessons can we learn for creating a great staff culture in education? There are three that might be worth thinking about. Align your team around your values. The Netflix culture focuses on achieving excellence through living their values, hiring and promoting for their values: priorities over bureaucracy; alignment, simplicity, candour, challenge, teamwork and self-improvement. All of us are responsible for ensuring we live our values. Building a great team is the most important task for managers, making sure everyone understands the top values, priorities and high performance. Managers are responsible for creating a great place to work. Employees stay because they are passionate about their work, and well paid, not because of bonuses. The best thing you can do for employees is have only the best people work alongside them. Hiring and retaining excellent colleagues outmatch everything else. One outstanding employee gets more done and costs less than two adequate employees. We develop people by giving them the opportunity to develop themselves by surrounding them with stunning colleagues and giving them big challenges to work on. Promotions are for extraordinary role models for the culture and values. Teamwork is key to great culture. Managers own the job of creating great teams. Leaders own the job of creating great culture. Tell the truth about performance. Is there a mismatch between values and behaviours? Have the courage to question actions inconsistent with the values. Does everyone know what they should be doing right now to improve the organisation? An organisation’s culture is shaped by its people and its teams, and their values and priorities. It is well worth us as school leaders taking a look at our own staff culture with this in mind. For the most competent pupils their mathematical reasoning will make the features of each problem type and the first step they need to take seem obvious. 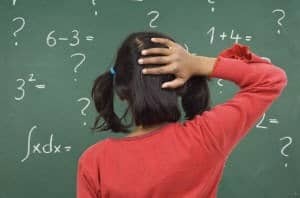 For pupils who’s mathematical understanding isn’t as fluid they greatly benefit from being asked decision isolation questions, because they are identifying the features of each problem type which makes them distinct from each other, and thereby helping them know what is the first step they need to take. learn (v.) – Old English ‘leornian’, ‘to get knowledge, to be cultivated’. From the Proto-Germanic, ‘liznojan’, ‘to follow a track’. Robert Macfarlane seems to be the closest we have in Britain to an Innuit: not only does he actively seek out cold, featureless, uninhabited space, but he also has about twenty different words for snow. Reading his books feels like following him in a blizzard of fresh vocabulary. Recently, in his Old Ways, I’ve learnt to avoid three different types of bog: boglach (general boggy areas), blar (flat areas of a moor that can be boggy) and, the most dangerous of all, the breunlach (sucking bog that is disguised by the alluringly bright green grass that covers it). All good words to know, I thought. Even in Willesden Green. He goes on to say that he has ‘inevitably followed in the footsteps of many predecessors in terms of writing as well as of walking, and to that end wish[es] to acknowledge the earlier print-trails that have shown [him] the way and provoked ‘deviations and differences’.’ He then lists the writers (and musicians) that have ‘shown [him] the way’ – everyone from Byron to Brahms, from Nabokov to Laura Marling. Increasingly, I understand that that is that creativity really is: the deviations and discrepancies formed as we follow a path that has been trodden before (and for) us. MacFarlane – English tutor and Fellow of Emmanuel College, Cambridge – understands this better than anyone. His deeply creative use of language – the path finding he fashions out of words – is rooted (routed?) in the trails set by the writers that have blazed before him. It’s why our most creative authors have often memorised quotations and poems and prose, or spent their formative years gorging themselves on lists of vocabulary and the most challenging texts in the canon. They’ve spent hours and hours internalising the vocabulary, the syntax and the rhythm of the greatest writers who have ever lived. Why is it that my pupils choose to use the word ‘hegemony’ to describe the dominance of the Catholic Church in medieval England? Have they conjured it out of the ether? No. They use it because I’ve taught it to them explicitly and we’ve practised using it in myriad different contexts, again, and again, and again. George Monbiot, although a successful writer and journalist himself, doesn’t recognise this. Partly, this is due to his own expert induced blindness: he cannot see that the explicit instruction he received at his (private) school was what gave him the literary advantage he now so effectively employs. Partly, it is because he’s never taught in a school himself. And so when he snatches at inscrutable futurology it’s because, from the cloistered seclusion of King’s Place, it all seems very seductive, very modern, very progressive, very Guardian. And it is seductive; but that doesn’t make it true. If we want our pupils to be creative then we need to show them the way. The evidence, which Monbiot is either unaware of or wilfully ignores, is clear: explicit instruction and deliberate practice works. It’s not fancy, it’s not fashionable and it’s not even that difficult. But it’s the reason why Shakespeare – a man whose secondary educationconsisted of hours of imitation, memorisation and drill – grew up to be the most creative wordsmith in the English language. We know that if you want to get good at something – anything – you need to practise that thing over and over again. I wish I’d known this when I started teaching. I wouldn’t have wasted my pupils’ time desperately trying to extract answers in ‘engaging’ starter activities that they have no possible way of knowing. At Michaela, we call this ‘guess what’s in my head’. It’s one of the more stubborn pedagogical ticks our new teachers tend to arrive with. I wish I’d been made to read MacFarlane. If I had, I’d have realised much sooner that learning is like following footsteps in the snow. It’s no coincidence that the etymology of ‘to learn’ is at root – and at route – ‘to follow a track’. Our responsibility as teachers is to illuminate the track and show our pupils the way. Without our instruction, how can they know where they’re going? They’re destined to stumble around in circles, trudging long distances but going nowhere. No, we must be clear. It’s by looking to those who have gone before us that we learn. And as we follow we will misstep and misprint. These ‘deviations and discrepancies’ will be our creative acts. This was originally written for the campaign group, ‘Parents and Teachers for Excellence’. Of all the years at university, the fifth year was the best. Why did I decide to do a Masters when I had found my undergraduate so difficult? And why in History, a subject I hadn’t even studied at A-level? The summer after fourth year, I found out I had not got a first. I was absolutely crushed, but given the amount of time I had spent in work or in the newspaper office, I had no right to be. There was one thing I knew: I was done with English Literature. I had presented a possible PhD thesis to a tutor in my final year – a psychological study of Milton’s Satan entitled ‘What’s the problem, Satan?’ – only to be laughed out of the room (or actually, the opposite of laughing – ‘you can’t make a joke on your PhD proposal’). I loved my job at the theatre. I’d been promoted, so I had more responsibilities and more money than I had ever had before. I ate proper meals and was genuinely happy. To prepare, the summer before I began I read tome after tome on Irish history. I asked everyone I knew who had done a history degree for recommendations. I went from knowing nothing at all to having a very shaky grasp of the chronology on the first day of the course. But I loved learning something new. And I loved reading something different. I read not a single novel for two years after my final year of university. At the time I thought I might never read a novel again. I was done with literature, and literature was done with me. I had never seemed to understand it, and the less I succeeded, the more I grew to despise what I had once most loved. The Masters was blissful. There might have been 12 or 15 of us taking it, so we all knew each other. We were all total geeks. For once, I totally fitted in. We went for lunch and talked about history. We went to optional seminars just because we wanted to. It was absolutely joyous. I was totally out of my depth, but almost no-one had studied Irish History before, even if they had studied history. I also came to the course without arrogance – I knew I knew nothing. Unlike literature, which I felt so confident about, only to have my ignorance painfully revealed, here I merrily accepted how much I had to learn. My undergraduate degree had knocked humility into me. And History suited me. Instead of synthesising abstract theories, I was plugging away in the archives, reading documents and letters written hundreds of years before. In History, the long hours spent reading endlessly were rewarded with high marks. I seemed to be doing better at something I had never studied before than I had for my entire first degree. I grew in confidence. In the second term, I was the only person who chose to take a course which was fiendishly challenging that had hundreds of pages of assigned reading every week, along with plenty of statistics. Now I had a degree, I was paid more to teach drama at the weekends, and I also marked essays for a correspondence course. I invigilated exams for undergraduates. I had worked at the theatre for so long I could choose shifts around archive times and seminars. Instead of queuing for the library, I swiped into the 24-hour graduate reading room any time I wanted; a beautiful and old room where there was always a place to sit and where you could bring your coffee without anyone seeing you and telling you hot drinks were for outside the library. The 24-hour reading room was full of geeks just like me. I knew few of their names, but all of them to smile and nod at. There is a warm community in the geek world. Now, lecturers wanted to talk to me. I would turn up to their offices and we could talk about the essays I had written or the documents I had found in archives. They would share their research, and point me in the direction of a new cache of papers. As the year drew to a close, I submitted my PhD thesis proposal again – on nineteenth century Irish history this time. It was well received, and although I didn’t get funding for it, there was the strong suggestion I would if I reapplied the following year. It would have been lovely to do a PhD. I finally had a lovely, lovely life; super friends and the best part-time jobs ever. But university had made me tougher. I wanted to take the difficult route. I had heard that Teach First was tough, so I decided to do that instead. After five years of university, I had not had a full week off. I had barely had a full two-days off. I had counted every penny for five years. I had been genuinely hungry many times. I would not do those five years again for any money. They were difficult years. But I did not hate university, and I do not hate university. University killed my arrogance – eventually. It taught me humility would be a surer route to learning. It taught me that work can be the highlight of your day – and that is ok. When I had failed in seminars and failed in the library, I could still turn up and do a good shift at work. We should never despair, because we can always do some good. And however disappointed I was to not achieve a first, I did not fail. I did not drop out. I finished, despite how difficult it was. In the amazing musical In the Heights, one of the characters struggles to find her place at university, far from her multicultural home, and wonders what her life would have been like ‘if my parents had stayed in Puerto Rico.’ University is such an immense culture shock, it is tempting during the experience to imagine: what might have been if I had stayed where I was ‘meant’ to stay? If I lived the life my background wanted me to live, instead of living this alien life, this life of literature and theatre and Waitrose? University was not like I imagined it would be when I read those 1920s novels. Nor was it anything like the experience of some of my closest friends, who describe it as three years of fun and parties. University was a struggle, but the struggle was brilliant. You can also read about my first, second, third and fourth years at university. Fourth year started. I was feeling happy. I had good hours working a job I loved that paid well and also enabled me to study while working. I worked on the newspaper stand in Freshers Week when I wasn’t working, encouraging new first years to join us. I had a group of people I loved working with at university, and a group of people I loved working with at the theatre. But it was also time to get serious. I may have neglected my studies in third year, but I wanted to get a first. I needed to get a first. I was the first person in my family to go to university, and I wanted to show I had thrived there. At the end of third year I had signed up to do a course in the modern novel and a course in Jane Austen. I had done all the required reading. I had even, possibly for the first time since Atonement in Freshers’ Week, enjoyed it. But I needed a first. And one of the course leaders had given me a low 2.1 in first year; the other a low 2.1 in second year. I needed to be strategic. I swapped onto two courses with course leaders I’d never had before, but which were topics I had got firsts in previously – Shakespeare, and Old English. And I really did love those courses. We had optional essays for the Shakespeare course, one a week; I completed every single one and got a first for all of them. None of the marks counted towards my final year marks, but it seemed like a good trajectory. I was balancing three jobs now: the theatre most of the time, teaching weekly drama and creative writing classes, and occasional waitressing at a sports stadium. I was also balancing my commitments to the newspaper and other university societies. I put everything into everything. I studied between customers at the theatre, where I worked with some of my favourite people I had yet met in Dublin. I ran between lectures and the newspaper office. I burned the midnight oil in the library. I was working so much I didn’t need money for anything but three meals a day; for lunches I could finally afford a proper sandwich with any filling I chose. Life was glorious. There were low points. If you throw yourself into ‘public’ life (or, the public life of the amateur stage that is university), you are a target to be shot at. Plenty of people wrote letters to the editor about how awful my writing was. One person took umbrage at a column I’d written about life after university, alleging I’d been born ‘with a silver spoon’ in my mouth and ‘could rely on Mummy and Daddy’ to bail me out after my degree, which could not have been further from the truth. One person stood up at a society AGM and called me a fraud and a hypocrite. One person stood up at another society AGM and said I had abused society funds for my own personal advancement, when of course I had done no such thing. An email was circulated to the whole English class about me, the content deeply personal and clearly vindictive. When I complained to the university officials, they said they would investigate it if I halted an ongoing newspaper investigation into dodgy aspects of the university administration they did not want being made public. It was my first experience of officials using their position so dishonestly. I refused to pull the investigation, and the writer of the malicious email went unpunished. I remember the day results came out. I had arranged for the day off work so I could prepare myself. I longed for a first. I will write next week about my fifth year at university. Use the links to read about my first, second and third years of university.